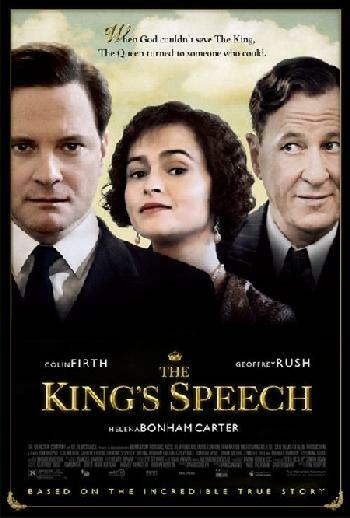 *”The King’s Speech” was crowned best picture Sunday at an Academy Awards ceremony as precise as a state coronation. The monarchy drama won an expected four Oscars, and predictable favorites claimed acting honors. The boxing drama “The Fighter” captured both supporting-acting honors, for Christian Bale as a boxer-turned-drug-abuser and Melissa Leo as a boxing clan’s domineering matriarch. Among those Portman beat was Annette Bening for “The Kids Are All Right.” Bening now has lost all four times she’s been nominated. “Thank you so much. This is insane, and I truly, sincerely wish that the prize tonight was to get to work with my fellow nominees. I’m so in awe of you,” Portman said. For MORE on the Oscars, continue reading this report at Yahoo News. o!…who gives a shyt about an Oscar, when they completely overlooked T.Perry’s “Colored Girls” flick! Look!…no matter what you thought about the flick?, there were soem VERY strong performances & YT acknowlwedges EVERY fkd up/un-worthy film WITHOUT strong performances, in it! So…before you do?, WTF should we “help” YT keep us down, by not acknowledging “our” work/worth! It is NO coinkeedink that “that” was the ONLY Black film that “could’ve” did some damage, made by a dude who has his OWN facilities to make his films! So…”this” was a boycott on ALL levels! Against “Us” & the Black man, who has “made it” despite them telling him “no” when he needed…them! It’s SO obvious that YT is a weak as-s, insecure, cheat’en mofo, who can’t STAND “real”…competition. “That’s” whyyyyy they continue to….cheat, by blocking out all, who can give them a run for their money or flat out…OUT DO…them! So weak, SO afraid, So stingy, Such…..hypocrites. P.S….& WTH isn’t THIS site talking about…”that”?, the omition OF Black’s receiving “nods”!? See?, “We’ won’t even do what’s right for “Us”, even when WE OWN the media tool, that COULD stop the B.S.! But?…I digress! Wah wah wah waaaaaah! I’ve never been a fan of the Oscars just on its history from the beginning and when you think about it, its never really geared towards any black films. They were showing Lady Sings the Blues over the weekend and as much as I don’t care for Diana Ross, she TOTALLY deserved to win for best actress as well Billy Dee and Richard Pryor and how they did the Color Purple was a crime in itself. IMO, its still racist and I don’t see or understand how any person of color can forget how they treated blacks in the beginning and even now! There are soooooooo many underrated black actors and actresses that are simply naturals. Jeffrey Wright, Don Chi Chi (Cheadle), Angela Basset, Cicley Tyson, Laurence Fishburne, but Hollywood has never had a place for blacks, then and now! Amen lady…AMENNNNNNN! And I don’t even know how “We” continue to support people who don’t “support”..Us! And then?, “some”one actually DISagrees with my post! Like…”that’s” the prollum…SOME of “Us would rather stay STUpid & not have the “intelligence” to separate their personal feelings about someone (b/c they disagree with that person’s opinions! ?, immature B.S.!) & not GTF up & do what any & EVERY other race has done…agreed to disagree on the “small shyt”, & do WTF is necessary, to raise EVERYONE…up! See?, ‘niggahs” will forever keep Us….down! (& BTW?, they come in ALL shades, colors & genders!